Yokogawa is leading the evolution of supervisory control and data acquisition (SCADA) systems to advanced automation and information visualization solutions that span global enterprises. Our SCADA applications combine high-performance, high-availability, broad scalability and platform independence in a manner that maximizes return-on investment (ROI) while minimizing the total cost of ownership (TCO) over the entire system lifecycle. Originating as the Flexible Advanced System Techniques (FAST) project, FAST/TOOLS today is a comprehensive, fully-integrated SCADA application suite. 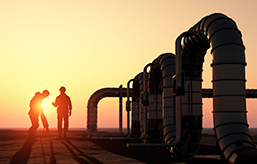 Powerful and flexible, FAST/TOOLS serves installations ranging from 50-point unit processes to multimillion-point offshore production and pipeline systems that extend over thousands of miles. 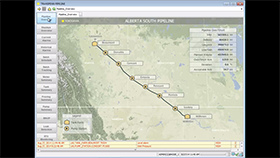 EPMS provides a comprehensive series of standard software applications which are integrated within the FAST/TOOLS real-time system platform to facilitate management of hydrocarbon liquids pipelines and natural gas pipelines. Alewijnse provides Yokogawa's FAST/TOOLS package for a variety of marine applications, including the world's largest yachts (megayachts) built by Oceanco of The Netherlands. Alewijnse has selected FAST/TOOLS because of its quality and support, and this software has allowed them to both streamline the engineering process and reuse data. OTS for familialization of liquefaction processes and operator training. Yokogawa's integrated solutions contribute to safe and steady production at gas liquefaction plant in Norway. INPEX Corporation (INPEX) is Japan's biggest oil and gas development company and is involved in all aspects of this business, from research to exploration, production, and sales. INPEX is engaged in projects all over the world, in a total of 29 countries, including Japan, where it operates a gas production plant near Oyazawa, a town in Niigata prefecture. As the demand for food is increasing worldwide, fertilizers are playing an essential role in improving agricultural productivity. OCI Nitrogen (hereinafter OCI) is a leading producer of mineral fertilizers and the world's largest producer of melamine, which is used to make adhesives and resins for a wide range of applications, such as furniture panels, laminate flooring, coatings, paints, and plastics. 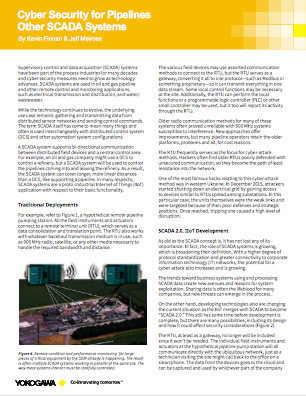 FAST/TOOLS SCADA system has helped NAM reduce its operational costs. By installing this onto the existing system, the ever greater data streams became easier to manage. Granite Power is a geothermal company that has developed GRANEX®, a patented direct supercritical fluid heat transfer technology for the efficient, eco- nomic, and zero carbon emission generation of electricity from low grade geothermal sources using the Organic Rankine Cycle (ORC). SENAI-AL selected Yokogawa to provide the training solutions to learn the latest technologies as well as measurement and feedback control. Yokogawa's STARDOM and transmitters are used for the micro ethanol distillation plant to develop future engineers. Yokogawa provides STARDOM and FAST/TOOLS for biomass pilot plant. 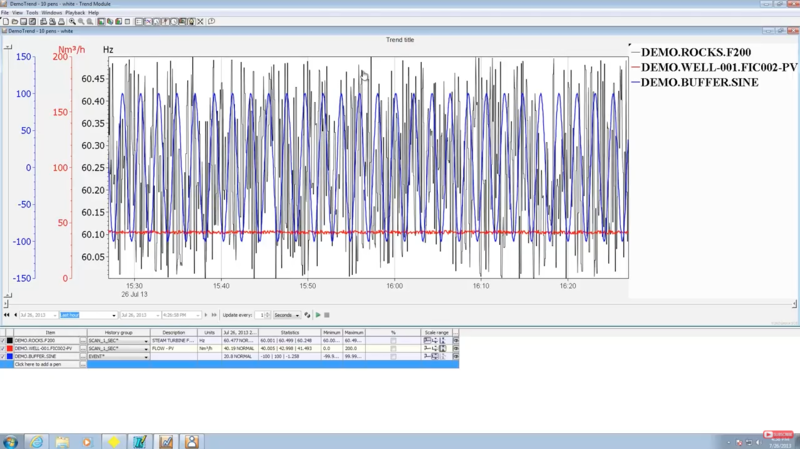 FAST/TOOLS is an "all in one" SCADA solution that functionsa a data historian. Bali's water treatment plant decided to employ the latest reliable control system in order to increase availability and quality of operation. 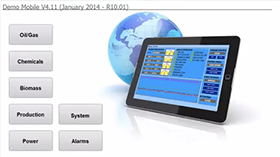 Centralized control system using FAST/TOOLS provides the sophisticated and flexible operation. The Malampaya Deep Water Gas to Power project delivers gas from an off-shore gas field to three power plants near the city of Batangas (100 kilometers south of Manila) in the Philippines. The project consists of an off-shore production platform, a 504 km subsea pipeline, and an on-shore gas treatment plant. Many different types of gases are consumed in industries as varied as chemicals, food & beverages, and medical. These gases are normally delivered in liquid form by trucks and dispensed at the customer site. Although the flow volume of cryogenic liquefied gas is used for billing purposes, it is not easy to accurately measure this because the gas is always at saturation temperatures. An automatic custody transfer system for unmanned LNG gas stations that embeds PC oriented functions such as e-mail, FTP, and the Java runtime environment in a robust hybrid controller. STARDOM field control node (FCN) autonomous controllers allow both Modbus master and slave functions to run simultaneously. Yokogawa ensures a reliable heat and CO2 transfer system by using the standard GPRS protocol. The exclusive use of webbased technology enables the market gardeners to go online to order heat and CO2 and view information. Yokogawa is one of a few companies worldwide that is able to successfully execute large SCADA host migration projects, i.e. data item counts in excess of 500,000 points. This advantage plus our robust technology coupled with the knowledge of previous Systems installed within various customers and our overall integration and knowledge of third party systems should give Yokogawa a clear technical advantage. To make the most of the advantages of GPRS, Yokogawa's STARDOM FCN/FCJ intelligent RTUs and FAST/TOOLS SCADA package have several functions that reduce the number of packets that must be sent. This dramatically lowers communication fees. A belt conveyor fire detection solution employing the DTSX distributed optical fiber temperature sensor can greatly reduce crises that can threaten a company's survival. STARDOM FCJ/FCN can be used as an electronic flow measurement system described in API MPMS Chapter 21.1. The flow computer calculations are performed in order to provide a high performance flow metering for Natural Gas. FCJ/FCN can perform both normal control and flow computer function at the same time. Utilizing STARDOM and Yokogawa Multivariable Transmitter EJX (HART or Foundation Fieldbus field transmitter), the advanced flow measurement can be realized. Many catalysts are used in the production of Alkyl-amines. Since some of these catalysts are recycled and reused, it is important that the plant measures and controls them to improve profitability and efficiency. Implementation of a Pilot Plant for the evaluation and selection of catalysts aimed to the improvement of the production of Alkyl-amines. Virtualization and Cloud Computing are becoming common terms. Global leaders in Information Technology (IT) advertise with their new solutions of Virtualization and Cloud Computing. Due to current events of target virus attacks such as Stuxnet and Flame, the demand for cyber security has become high priority within Industrial Automation (IA). Since the beginning of IA, the global approach for security technologies has been reserved. There was a valid reason for the industry wide reticence, given that there were no direct vulnerabilities. Recently, several ARC Advisory Group analysts and management team members had a chance to sit down with the new Yokogawa President and COO, Mr. Takashi Nishijima, and several other top Yokogawa executives to discuss the company's burgeoning presence in the worldwide upstream and midstream oil & gas industry. Network and system security is now a necessity in process automation industry. YOKOGAWA provides a service lifecycle solution for cyber security to ensure that the security measures and deployments are continuously enhanced, monitored and inspected. 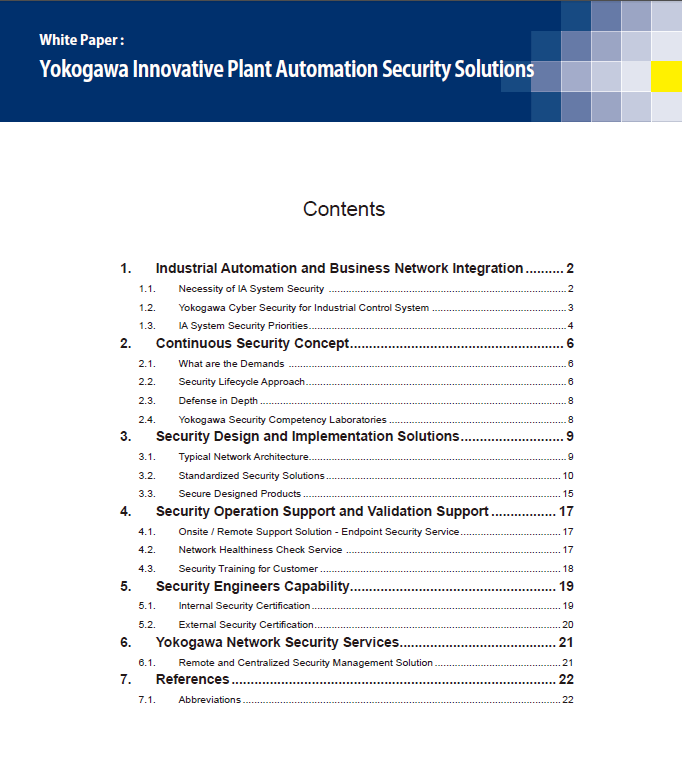 This white paper explains the details of the security design, implementation, operation and validation solutions from the technical perspective. Only 5% of data is transferred into meaningful information so, asks Frank Horden, Business Development Manager, Yokogawa Global SCADA Center, USA, how to ensure pipeline management data is translated into valuable knowledge? Distributors are offering a wide range of services in response to customers' changing needs. Many global industrial companies and utilities rely on Yokogawa's FAST/TOOLS system to deliver high levels of data integration and guaranteed data integrity demanded by these companies. Yokogawa says that the secret to FAST/ TOOLS success in these critical applications is the highly reliable design, combined with exceptional performance and the online configuration capability. Eduard van Loenen and Frank Horden, Yokogawa, describe utilising a modern SCADA system as a collaboration centre platform for bringing 'real-time' operations, maintenance and business information sources together in one integrated visualisation environment. SCADA brings "real-time" operations, maintenance and business information sources together in one integrated Visualization environment. Data from different sources needs to be interrelated and translated into KPIs of the most elementary operational and business functions. Supervisory control and data acquisition (SCADA) systems have been part of the process industries for many decades and cyber security measures need to grow as technology advances. SCADA systems are used in oil and gas pipeline and other remote control and monitoring applications, such as electrical transmission and distribution, and water/wastewater. Modern historians do much more than just store process data. They also provide analysis, reports, and valuable operational and business information. For large scale geographically dispersed projects, there may be a hierarchy of individual Process Automation systems, which in turn are each responsible for a specific region, and are managed by a higher level system. Engineering of systems on this scale is a huge challenge, because each individual system has its own database and its own configuration. We have developed the FCN (field control node) and FCJ (field control junction) autonomous controllers as the core of STARDOM, a solution that actualizes a network-based control system (NCS) Yokogawa proposes for increased production efficiency. Due to the rising energy demand in emerging countries in recent years, the amount of oil and gas production has been increasing, thus investment in the development of new oil and gas fields and replacement of old facilities has been booming. To improve the efficiency of operations, production control systems are working together more closely with information systems. As a result, security measures have become indispensable for production control systems though they have not been emphasized to date. Because many production control systems are used for critical infrastructure, some malware tries to attack them. To date, Yokogawa has focused on DCS (Distributed Control System) which control the entire power generation plant, including boilers, in the electric power industry. In contrast, turbomachinery control has been handled by turbine manufacturers, but as the electric power market has been active internationally, especially in China and India, in recent years, Yokogawa has been developing turbomachinery control systems to to further develop the electric power industry. Yokogawa is pleased to present a quick walk through of a demo application that is hosted through FAST/TOOLS SCADA (Supervisory Control and Data Acquisition) mobile web server. The mobile operator interface is a pure HTML 5 implementation which is suitable for any web browser that supports this standard. No accessory applications or plug-ins are required beyond a web browser. Mobile browsers such as Chrome, Dolphin, Safari on platforms such as Android, iOS, and Windows should work equally well. The mobile clients offer a reduced set of functionality compared to the regular FAST/TOOLS rich client and are primarily intended for mobile process and alarm updates. Yokogawa presents a demonstration of FAST/Tools Supervisory Control and Data Acquisition (SCADA) Operator Interface. A sample application covers the basics of navigation, trending, alarming, diagnostics, reporting, and operator interaction playback. 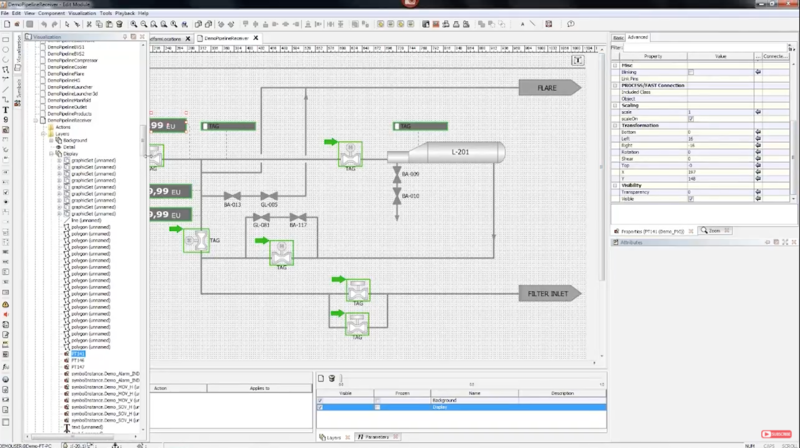 Yokogawa presents a quick review of FAST/Tools SCADA Visualization Editor. This video covers some of the most commonly used features within the visualization editor including layers, trending, and properties. 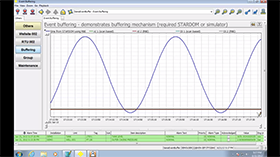 Yokogawa presents a tutorial on the trending and historical data logging capabilities of the FAST/TOOLS Supervisory Control and Data Acquisition (SCADA) software. The tutorial covers the key features of the trend application as well as setting up historical data collection. 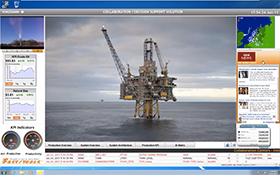 Yokogawa presents a quick review of the FAST/TOOLS SCADA Collaboration Decision Support Solution (CDSS) option. 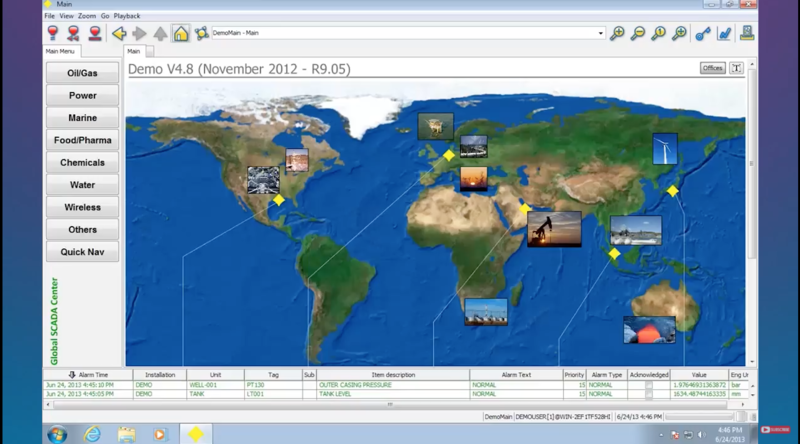 The CDSS option allows FAST/TOOLS traditional operator interface screens to be combined with outside Internet based information for incorporation of Multimedia like camera feeds, video, news feeds, weather-feeds, stock prices, reports, and other sources of information that are critical to planning and operations. 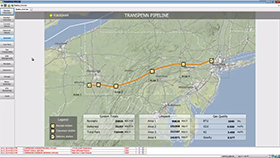 Yokogawa presents a quick tour of a demo application for a Gas Pipeline SCADA Host. The tour shows Scheduling, EFM/EGM Metering Management, Storage, Compression, and Line Pack functionality. Yokogawa presents a quick walk through of a liquids handling pipeline SCADA Host implemented in FAST/TOOLS 10.01. It features the fictitious AlbertaSouth Pipeline that includes tank farms, pump stations, block valves, metering stations, provers, pig launchers and receivers. It features applications like leak detection, batch scheduling, and strapping tables for storage tanks. Although it is a demonstration pipeline it does feature functionality that Yokogawa has deployed across the world on real pipeline SCADA Host projects. Yokogawa presents a demonstration of how the combination of Stardom FCN-RTU and FAST/TOOLS SCADA can be combined to provide a powerful control and data collection system where in the event of a network disconnection or computer outage - Stardom internally buffers data that would otherwise be lost and on reconnection or restoration of the SCADA Server FAST/TOOLS is able to back-fill missing data in its trend.